Hi there! Some photos of this collection you cold see befor longer time on my blog. But is really beautiful and inspiring. Roberto Cavalli SS 2013. Have a nice day and I hope you have a perfect day. Ahoj! Niektoré fotografie z tejto kolekcie ste už na mojom blogu mohli vidieť. Je naozaj krásna a inšpirujúca. Roberto Cavalli jar/leto 2013. Pekný deň a verím, že príjemne trávite voľný deň. Wow I am in love, the last picture is definitely my favorite the dresses both girls are wearing are so beautiful. Nu finns det några videor på bloggen när jag sjunger, supernervös att visa dom för er så jag uppskattar allt ni har att säga om det! Så tyck gärna till. Ni får gärna sprida videorna också! Such a cute collection for the little ones! these kids are soo darn cute!! Leopard print dresses for little ones! 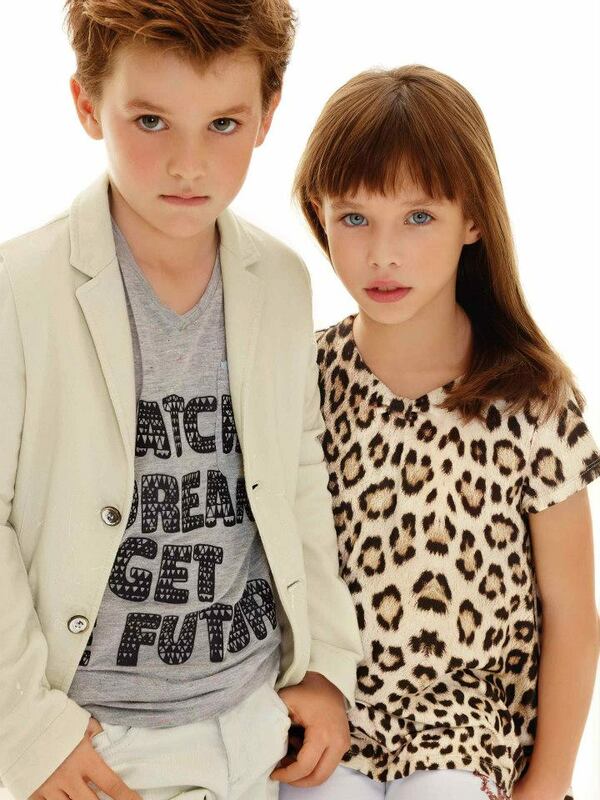 Wow, a truly stylish collection for kids! Cute and chic but too much in my opinion spending money on kids clothes that only last a few months before they outgrown them! I'm little jealous that these kids have even more style than I do! Aw super cute. My favourite is the one of the two girls with the swing! i absolutely adore these looks!!!!! !